In this video, John Mayer mentions achieving his goals, having to go back home to regroup, stardom, doing some immature interviews, and accepting the lessons and wisdom of Saturn, and accepting the undeniable force of Pluto forcing CHANGE. “It was sort of like rocking me into adult. It was a violent crash into being an adult. So for a couple of years it was like figuring it all out.” Sounds Plutonian to me. Actually the Pluto Square Pluto personal transit we go through around the ages of 33-35. In his own words, he lets us know how he had refused to grow up, Saturn style and why he left the spotlight for two years. As a Libra, he’s quite eloquent even if he says ‘off’ things now and then because he loves to tell the truth — publicly. I find men who are 34 / 35 get a second wind if they were sleep walking through their Saturn Return or refused to grow up. Unrelated: John has one of the most popular vocalist’s signature: Sun Conjunct Mercury and while we don’t have his time of birth, it’s probably in the 10th (if he has an interception) or 11th house which would make him a Sagittarius rising and that makes sense to me given his history with women (and his need to publicly SPILL — upside down bowl aspect pattern). I mean, Moon Conjunct Neptune in the 1st would account for why the women he dated felt so fooled. I’ve found that for many of my clients the Pluto square is also a time when they are being challenged to purify their motives and the way they express their personal power. This is especially true for those who have Pluto conjunct (within a few degrees) one of their personal planets. 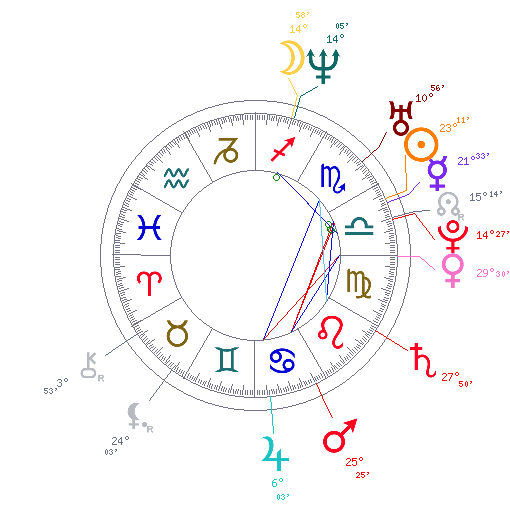 For instance, if Sun and Pluto are conjunct in your chart (John Mayer has this! ), the Pluto square will also be squaring your Sun. This can be experienced as a real breakdown of your sense of identity (the Sun) and may feel like a part of your self is dying. The Pluto square will also challenge you to more fully “own” your personal power rather than using it in a more manipulative, covert way. By tuning into the purification process of the Pluto square you can begin to experience your power with more integrity. Saturn demands that you grow up and it looks like Pluto helped Saturn make that happen for John.